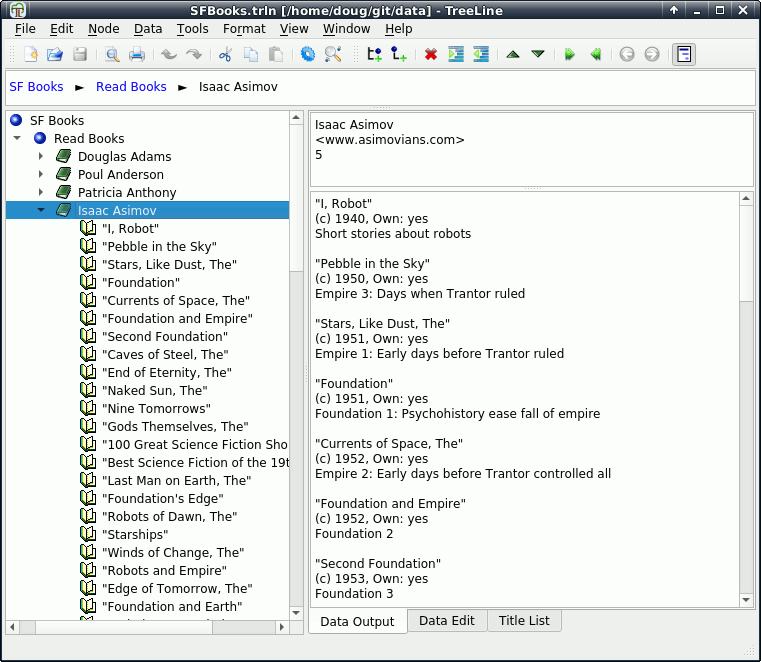 SQLiteSpy is a fast and compact database manager for SQLite. 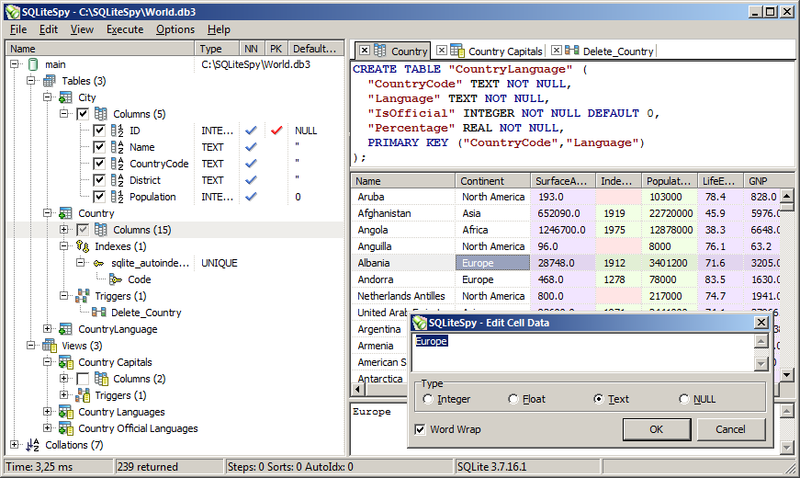 It reads SQLite 3 files and executes SQL against them with a graphical user interface that makes it very easy to explore, analyze and manipulate those databases. How to extract: Download the ZIP package and extract to a folder of your choice. Launch SQLiteSpy.exe. I found out where SQLite Administrator saves settings (in %APPDATA% by default), but it checks for sqliteadmin.ini in application directory first. File Navigator is a Norton-Commander clone with a dual-pane text-based interface and a command prompt for you to enter DOS commands directly. Though the website is in Russian, the program itself is entirely in English. Select the menu items "Commands" followed by "Configuration"
Click on the "Compatibility" tab and check "Store configuration in the INI-file"
An attempt to open a symbolic link to the folder in Windows 2008/7 led to access error. Full Russian changelog is at http://www.relaxander.webest.net/files/fn/History.txt. File Navigator DOES make registry entries. It puts the history of file copy/move-operations in the registry. Even when the INI-file is used for storing settings. For those who like FarManager like me it's a very very good file navigator. I strongly recommend it. File Association is for exemple better than in total commander or freecommander ! Has anyone tried the file viewing dlls? They do not mention where to install. They may or may not work at the application root. 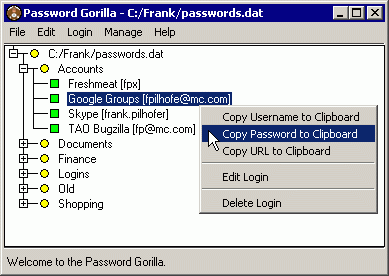 Password Gorilla helps you manage your logins, storing all your user names and passwords along with login information and other notes. To log in to a service or Web site, the program copies your user name and password to the clipboard to paste into your Web browser or other application. The program includes an integrated random password generator for one-time passwords, tunable to various services’ policies. Data is encrypted with a single "master" password. Cross-platform (Linux, Mac, iOS, Android). Alternatively, Password Gorilla Portable updates paths for recently used databases. Writes settings to: Application folder (when using the --rc <name_of_the_configuration_file> parameter). Any chance someone is working on an Offline app for ChromeOS? Been using Password Gorilla for years and appreciate the development community for the open source and cross-platform work so far. A big thank you!